It’s a normal day at the dog park. Your dog is chasing after the ball like he’s done a thousand times before. He runs, he jumps, he catches the ball — and twists his hind leg on a bad landing. There goes his ACL. The most common orthopedic problem in dogs is not broken bones or hip dysplasia. It’s an injury to the Anterior Cruciate Ligament (ACL) in the knee. If you think your dog has a torn ACL in his knee, the first thing you should do is take him to the veterinarian. The bad news is that ACL injuries rarely heal on their own and surgery is often necessary. Torn ACL injuries are also extremely painful – and extremely expensive to repair. You should be prepared to pay $1,500 to $4,000 and spend several months helping your dog recover. During rehabilitation, your dog’s activity level must be strictly limited. Even after months of physical therapy, dogs who blow out one knee have a 30-40% chance of tearing an ACL in the other knee. Ligaments are stretchy bands of tissue that connect bone to bone. They work like rubber bands to hold the knee bones in the joint together when your dog moves. The Anterior Cruciate Ligament (ACL) is one of four ligaments in the knee joint. The ACL is located in the center of the knee and is responsible for stabilizing the hind leg when your dog is bending, straightening and rotating his legs. It is also the most commonly injured knee ligament, especially in athletic dogs. Forced twisting is usually what causes an over-stretched or torn ACL, but falling awkwardly or a sudden blow to the knee can also cause it. How serious is a torn ACL? The ACL and other ligaments are more elastic than spring-like tendons. Because the ACL can be stretched out and then stay that size, torn ACL injuries are usually more serious than tendon injuries. ACL injuries are sometimes referred to as “blown out knees” and the repair process may involve several surgeries and a long recovery. How do I know if my dog tore his ACL? You might not know your dog tore his ACL right away if the injury is relatively minor. This is called a “sprained ACL” and it means the ligament is only partially torn off the knee bones. Unfortunately, even minor ACL injuries rarely heal on their own and they tend to progressively worsen over time. The longer treatment is delayed, the higher the risk of other complications like arthritis in dogs. In severe cases, the ACL rips completely off the bone. The knee may suddenly give out and you may hear a popping sound upon injury. Other symptoms of a torn ACL in dogs include pain, stiffness, swelling, and limping. The dog will try to avoid using the injured knee, especially if it is unstable. The feeling of instability is caused by the bones in the knee joint sliding too far because they are not held together with the ACL. This can also damage cartilage in the knee and cause permanent walking problems. Can I let my dog’s torn ACL heal on its own? No. Tendons and ligaments on the outside of the kneecap usually heal by themselves, but a torn ACL rarely heals by itself because it is bathed in joint fluid and it does not have a blood supply. As a result, reconstructive surgery is usually the only option for fixing a torn ACL – unless the tear is very small and the knee is still relatively stable. How do I keep my dog comfortable after a torn ACL? ACL injuries are very painful and your dog will need a lot of affection and supportive care in your home. The good news is that there are plenty of things you can do to help your dog feel more comfortable. Be sure to provide soft supportive bedding for your dog’s achy joints, use ramps to help him get in and out of the car or into bed, put down carpets and secure rugs to help your dog get traction on slippery surfaces. Does a torn ACL always need surgery? Surgery is not always necessary for a torn ACL, especially on smaller dogs when reconstructing the ACL is more challenging. Dogs under 30 pounds sometimes recover from mild ACL injuries without surgery. Larger dogs are far more likely to require surgery. However, if the ACL is completely torn, even tiny dogs will most likely need surgery. If your veterinarian does not see significant pain, swelling, or instability, he or she will probably recommend a “wait and see” approach because it might be a serious sprain rather than a torn ACL. If the dog is walking better within a few weeks, the ACL was not completely torn. Can I help a torn ACL with low-impact exercises? If your dog has a very minor ACL injury, the owner must prevent the dog from injuring the knee any further. Your veterinarian may recommend low-impact exercises as a form of doggy physical therapy. It may only be safe for the dog to go swimming or take short walks. These gentle exercises can help strengthen supportive muscles in the knee, take some of the load off the injured ACL, and compensate for the lack of stability provided by the ACL — but it will not fix the root of the problem. Furthermore, too much exercise can worsen a torn ACL. Will my dog’s ACL injuries get worse if I do nothing? Yes. The problem is that most dogs who injure their ACL are physically active. Dogs are not very good at avoiding high-impact activities like running, jumping, and playing with other dogs – even if they are in a lot of pain. Therefore, it is the owner’s responsibility to try to keep a dog with a minor ACL injury from eventually tearing his ACL completely. Furthermore, dogs with an ACL injury in one leg will try to avoid the pain by using their other legs more often. Over time, one torn ACL that is not treated often results in two excruciatingly painful ACL injuries. What should I do after my dog has ACL surgery? When your dog is recovering from ACL surgery, it is imperative that he has strictly limited activities for the next 12 weeks. Slow and steady recovery allows for proper healing and minimizes the risk of your dog tearing a different ACL because he is hopping around on three legs. If the dog is yelps or suddenly stops using the leg, contact your vet. Where should I keep my dog during recovery? If you can’t supervise your dog, keep him in a small room inside where he can relax and sleep. The room should have a non-skid floor surface like a carpet or a rug to keep your dog from accidentally slipping and injuring his knee again. If you are able to supervise your dog, make sure he does not run to the door or window when you have visitors. How do I help my dog get around the house? Dogs with ACL injuries should not be allowed to walk up or down stairs without your supervision. If your dog is too big to carry, you can help him get around your house by making a sling out of a rolled-up bath towel and placing it under the dog’s abdomen for balance. 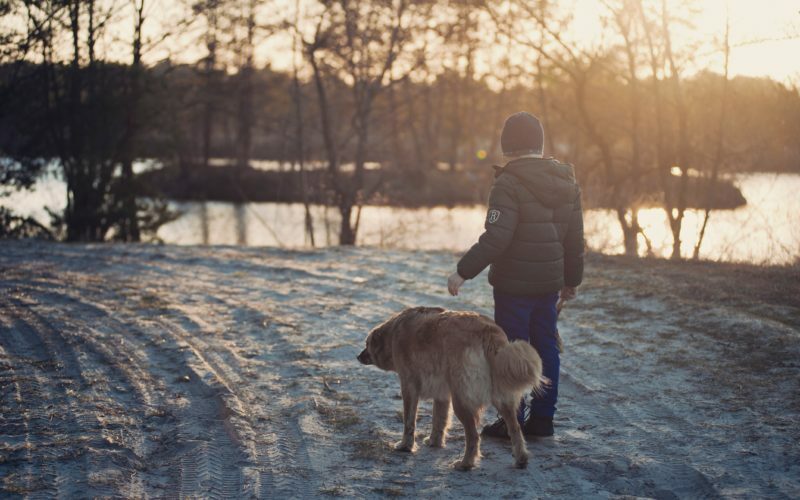 The sling should be used whenever your dog needs to stand up, walk short distances, climb stairs, get in the car or walk across slippery floors. What should I do about swelling? The first week is when bruising and swelling are at their worst. You can help relieve some of the swelling and pain by gently applying a cold compress (such as an ice pack wrapped in a towel for protection) at the incision site a few times per day for 5-10 minutes at a time. If you notice bigger swelling near the incision site, your dog may have fluid or blood trapped under the skin. This is called a seroma or hematoma. It is more common in dogs who are too active too soon after surgery and it may require a minor operation to drain the fluid. If you notice these problems at the surgery site, take your dog to the vet immediately. How much activity is okay in the first few weeks? In the first week or two, it is a good idea to keep your dog on a leash when you take him outside to go to the bathroom. The frequency of activities should be kept to a minimum – no more than short walks of a 1/2-block or less, depending on the size of the dog. Very small dogs may only be able to walk far enough to go potty a few times per day in the first few weeks. Your veterinarian will let you know the appropriate activity level when the sutures or staples are removed from the surgical incision (usually about 10 to 14 days after surgery). You dog will probably be allowed to do gentle exercises like swimming or short walks around the block. Two to three weeks after your dog has ACL surgery, you can increase the length of his walks to 1-1/2 blocks up to three times per day. When is it okay to increase activity levels? Over the six weeks following surgery, you can gradually increase the duration of activity, but not the intensity – no running, jumping, or playing. The idea is that your dog will progressively rebuild muscle tone in the injured leg without risking another injury in his non-injured legs. If your dog is sore after a walk, reduce the length of the walk for a few days. How should I approach rehabilitation? The rehabilitation period lasts from 7 to 12 weeks after your dog has ACL surgery. During this phase, your dog’s other leg is still at risk of being injured because he is still bearing more than his normal share of body-weight. In weeks 7 and 8, you must be careful to slowly increase the length of your walks by a maximum of a 1/2 block every 3-4 days. You should also keep your dog on a leash during these walks. By weeks 9 and 10, your dog will probably be able to go on 2-3 walks per day and may seem fully recovered – but it is essential that you do not push your dog to exercise too much at this point in the rehabilitation phase. Over-exercising your dog will not speed up recovery. In weeks 11 and 12, your veterinarian will probably allow your dog to have some off-leash activity under your supervision, but not with other dogs to avoid the risk of playing too enthusiastically. How can I help my dog avoid permanent knee problems? Permanent knee problems are common after ACL injuries, especially when treatment was delayed or the recovery did not go smoothly. This is why it is essential to treat an ACL injury as soon as it occurs and limit your dog’s activity level until he has fully healed after surgery. For example, dogs who tear an ACL in one knee have a 30-40% risk of tearing an ACL in the other knee within two years of the first one. This risk increases for dogs who are overweight or too active after surgery. 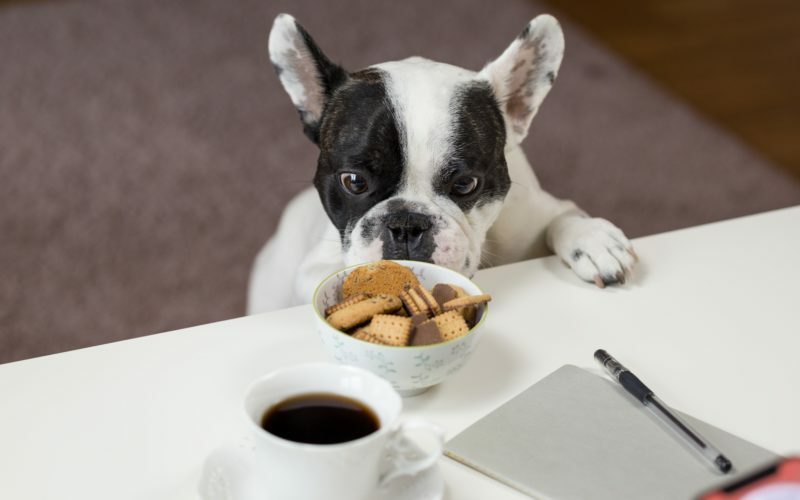 Overweight dogs who engage in strenuous activities are more likely to tear another ACL, so the best thing you can do for a dog with a history of knee problems is to keep his weight under control by feeding him the right amount of high-quality food. Another common long-term complication is arthritis (also called “progressive osteoarthritis“), which is painful inflammation and joint stiffness. “CCL Injuries in Dogs.” WebMD, Accessed 9 Sep. 2017. www.pets.webmd.com/dogs/acl-injuries-in-dogs. “Torn Knee Ligament in Dogs.” PetMD, Accessed 9 Sep. 2017. www.petmd.com/dog/conditions/musculoskeletal/c_dg_cranial_cruciate_ligament. “Cruciate (ACL) Surgery for Dogs – TopDog Health – Joint Health Solutions for Your Dog.” TopDogHealth.com, Accessed 9 Sep. 2017. www.topdoghealth.com/library/orthopedic-surgery/articles-surgery/dog-cruciate-acl/. “How to Care for a Dog with a Torn ACL.” WikiHow, 30 Sept. 2017, Accessed 9 Sep. 2017. www.wikihow.com/Care-for-a-Dog-with-a-Torn-ACL. “Is Surgery Necessary for a Torn ACL in Dogs?” Pet Plan, Accessed 9 Sep. 2017. www.gopetplan.com/blogpost/torn-acl-in-dogs.